My daughter, Katie’s 2nd birthday was about a week ago. 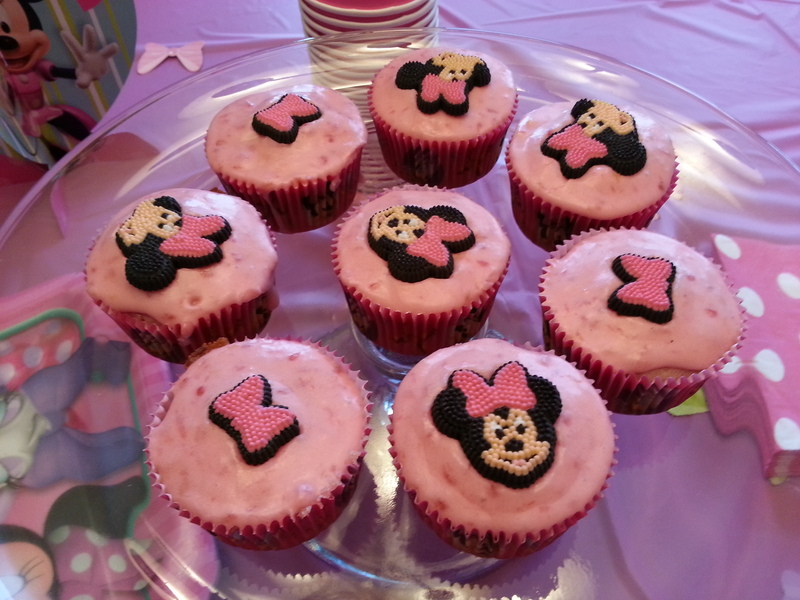 I wanted to make her cupcakes for her birthday party, which was Minnie Mouse themed. 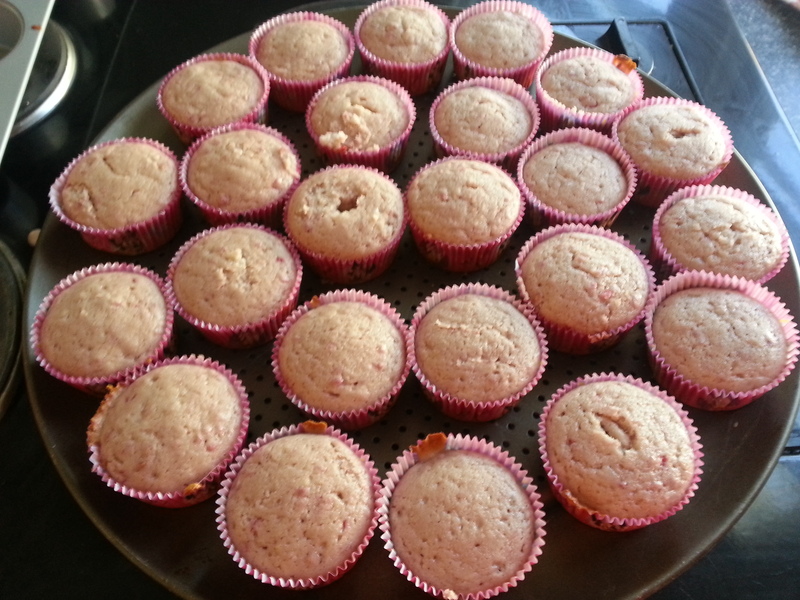 I used a lemon cake/cupcake recipe I had and added raspberries to get the pink color. Thanks to my Better Homes and Gardens cookbook. The cupcakes turned out amazing and had so much flavor. 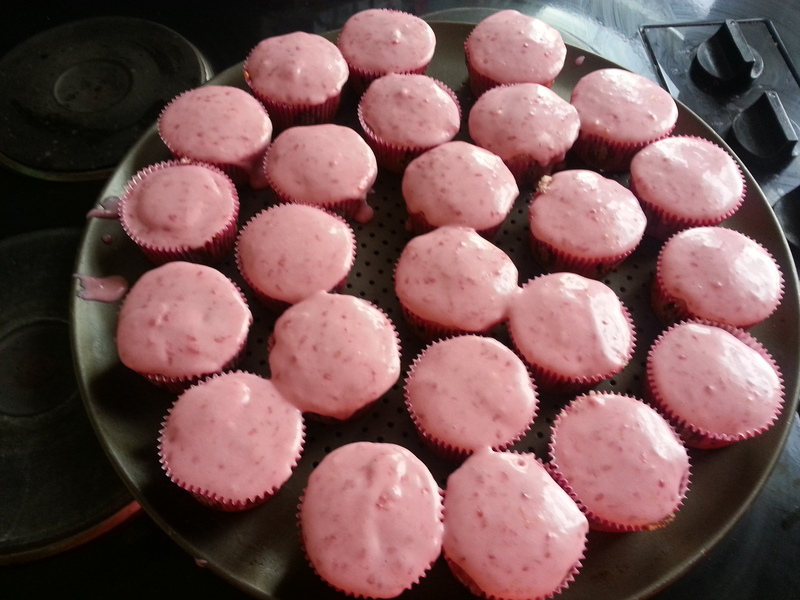 Here is my recipe for lemon raspberry cupcakes. *This recipe can be made into a cake or cupcakes. 1. Allow butter and eggs to stand at room temperature for 30 minutes. 2. Grease and lightly flour two round cake pans or place cupcake liners in cupcake tin; set aside. 3. In a medium bowl, stir together flour, baking powder, baking soda, and salt; set aside. 5. In a large mixing bowl, beat butter with an electric mixer on medium to high speed for 30 seconds. 6. Add sugar, lemon peel, and lemon juice; beat until well combined. 7. Add eggs one at a time, beating well after each addition. 8. Add plain yogurt if substituting part of the butter. 9. Alternately add flour mixture and buttermilk to butter mixture (plus plain yogurt if substituting part of the butter milk), beating on low speed after each addition just until combined. 10. Add raspberries and beat until combined. 11. 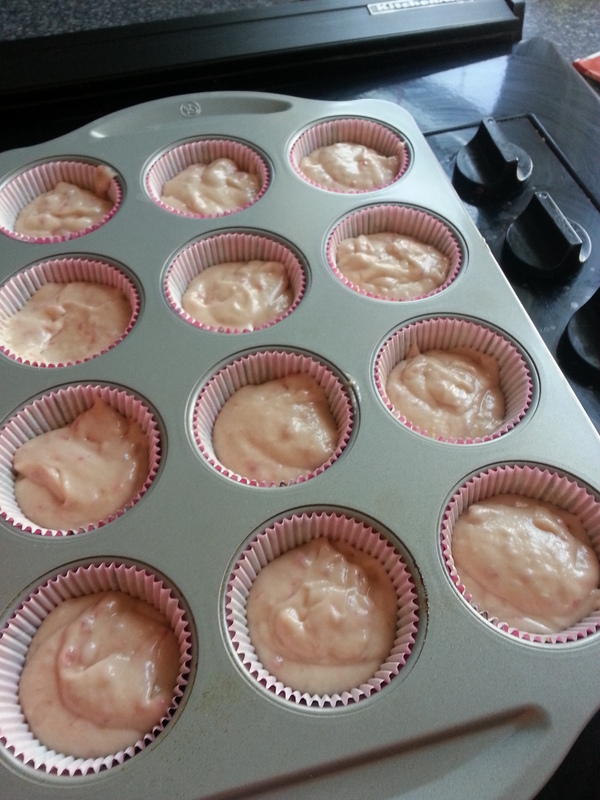 Spread into cake pans or fill 3/4 full into cupcake tin. 12. 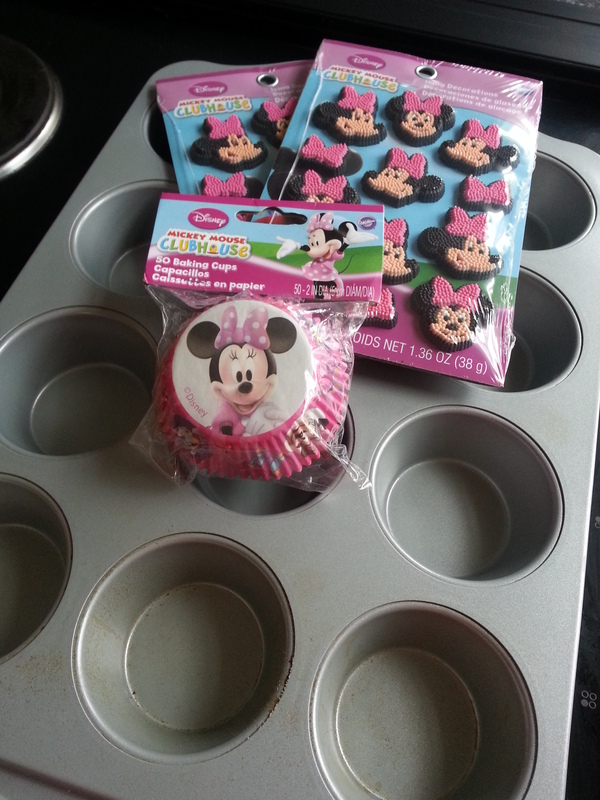 Bake for 28-32 for 8-inch pans, 25-28 minutes for 9-inch pans, or 12-16 minutes for a cupcake tin. 13. Make the frosting while the cakes/cupcakes are baking. 14. Take out of oven once a wooden toothpick inserted near the center comes out clean. 15. Cool cakes on wire rack for about 10 minutes; then remove from pans. Place cupcakes on wire rack to cool. *If making cupcakes, I would half the recipe. 1. Allow cream cheese to soften. 2. In a medium mixing bowl, combine cream cheese, butter, and lemon juice. 3. Beat with electric mixer on low to medium speed until light and fluffy. 4. Add plain yogurt if substituting part of the butter; beat until combined. 5. Add raspberries and beat until combined. 6. Gradually add powdered sugar, beating until frosting reaches spreading consistency. 7. Stir in the lemon peel. 8. Place frosting on cakes/cupcakes and place in refrigerator for at least 30 minutes to set. 9. Add decorations on top such as raspberries and slices of lemons. Enjoy! I know you won’t be able to have just one. I couldn’t.